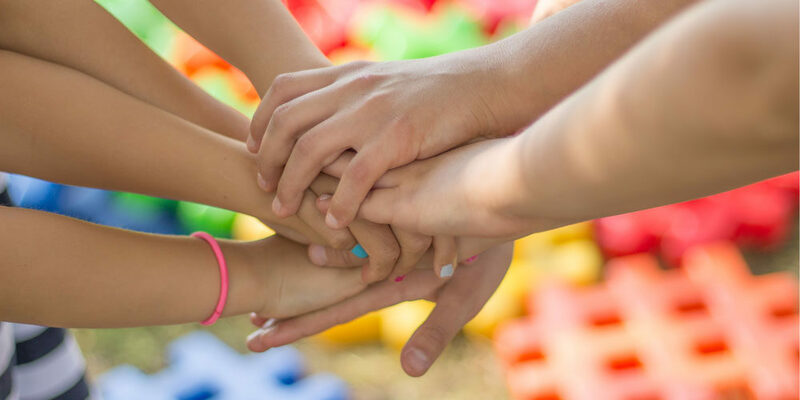 Some children have difficulties making friends because they do not understand the principles of cooperation and the balance in a give-and-take relationship. However, by first learning to help others, your child can learn how to make friends and develop positive relationships with their peers. Encourage your child to help others. Make sure you acknowledge their effort and give them plenty of praise. In time, they will learn to anticipate the needs of others which becomes rewarding and builds confidence. Here are a few ways to help your child learn to develop positive relationships with others by offering help. Children learn a lot by imitating their parents. Be a good role model.Talk about how you are helping each other at home: “Daddy is helping me put the shopping away”. Children look up to their parents for direction and learn to be helpful from watching you. Involve your child with household activities such as cleaning up or doing the laundry. Praise your child’s helping behaviours. A word of praise to recognise and appreciate a good deed can work wonders! We feel comfortable and enjoy being around people who make us feel good. As a result, it gives us positive feelings towards the other person. However, your child may not understand that saying nice things to others can make the other person feel good. Help your child acknowledge when someone is helping others and show your child what you would say, for example, “You are very helpful”. Tell your child how praising others makes them feel good inside. Invite a friend over for a playdate. Model for your child how to help their friends by tidying up toys or giving out snacks. Encourage your child to do the same. Whenever your child helps anyone, make sure that you give plenty of specific praise and tell them that you are proud of them. Discuss their helpful actions and ask how it made them feel. Incorporating practise of these skills into your daily routine is a practical way you can introduce your children to starting to help others. Try to incorporate these tips into your child’s daily routine and pave the way for them to develop good friendships.